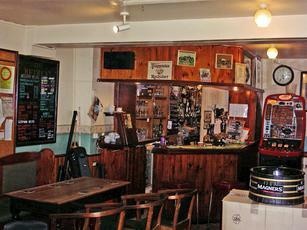 Narrow frontage - long bar reaching to back of premises. Friendly staff. Good range of ales. Many of the locals have returned, the live music has returned (but watch out for the Beginners Ukelele nights!) and a decent and very well kept beer range has returned. Coupled with new furnishings, a general makeover and, last but by no means least, a genuinely friendly landlord, the Retreat is well worth a visit these days. Beers are chosen to provide variety compared to neighbouring pubs and often favour regional breweries. Wow! What a transformation. Very friendly landlord and barmaid, good range of beers, and looking great after redecoration - in fact looking better that it's ever looked in the 40 years since I first went there - and it appears many of the old locals are coming back. Highest hopes for this iconic pub's survival since Bernie and Jane left. Keep up the great work, landlord! Not before time but the Retreat seems to be on the up and settled under a new landlord, friendly, welcoming and a man who knows what he's doing. Generally five ales available, all guests from respected breweries plus a range of British and European bottled beers. 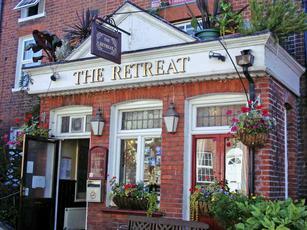 The place is clean and tidy, live music is back and it's good to be able to say that the Retreat is once again well worth a visit.